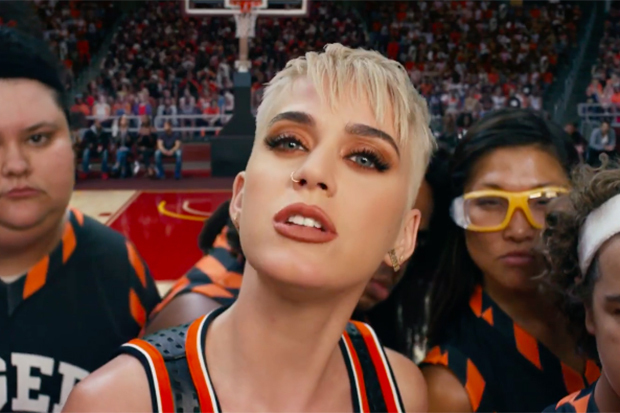 The pop queen's star-studded 'Swish Swish' video was well worth the wait. Jazz fans at the New Orleans Jazz & Heritage Festival are in for a treat this year. Today (January 15) Katy Perry announced plans to take the stage at the annual event. “The funny thing is, I already had @jazzfest in my calendar for a music and food tour of one of my favorite cities, but now I’ll get to work off those calories on stage,” the “Hey Hey Hey” diva enthused. “Jazzed (I did that) to announce I’ll be performing at #jazzfest50 on April 27th!” The 34-year-old joins the likes of The Rolling Stones, Dave Matthews Band and Earth, Wind & Fire as some of the top-billed acts this year. Others who will perform include the likes of Ciara, J Balvin and Pitbull. It will be interesting to see what songs Katy performs when April 27 rolls around. Hopefully she’ll use the set as an opportunity to premiere some new music. But it would also be nice to see her reimagine some of her biggest hits in a jazzier way. She will not be the first pop star to headline the event. Back in 2014, Christina Aguilera worked her way through a slew of her biggest hits and several covers during her performance. I’m sure the “Immortal Flame” icon will do something similar. The festival, also known as Jazz Fest takes place April 25-28 and May 2-5. Tickets will be available for pre-order this Friday (January 18). Check out the rest of the lineup below and get ticket info here! Are you ready for her set? Let us know below, or by hitting us up on Facebook and Twitter!